Nell’ambito del progetto “YAM-Yuoth Ambassador for Mobility” cerchiamo 1 volontario/a da coinvolgere in un progetto EVS ad Ebreuil da ottobre 2018 a maggio 2019. Il progetto sarà coordinato dall’associazione CONCORDIA e ospitato dall’associazione VIVA SIOULE, fondata nel 1975 nel territorio di Ebreuil per supportare lo sviluppo locale dell’area rurale e attivare la popolazione locale alla partecipazione per lo sviluppo culturale ed educativo del territorio e per supportare la lotta all’esclusione sociale. Volunteer will take an active part in the various activities carried out by the social center and into actions for youth by the Community of Municipalities. The volunteer will be hosted in Ebreuil, which is the place of the social center Viva Sioule. This village is located in the department of Allier; Auvergne’ s region and it is 50 km away to the North-West from the regional capital of Clermont-Ferrand. 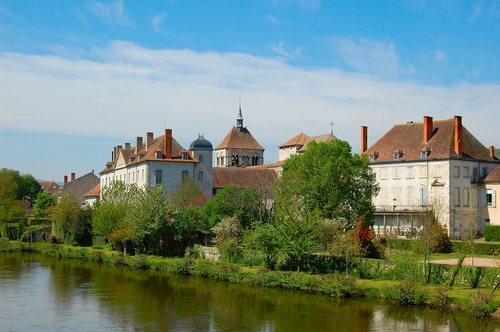 Ebreuil and its surroundings is a quite rural place; there are around 1300 inhabitants. This small town is situated in the valley of Sioule, on the shore of a natural and wild-flowing river. Working and living conditions: The volunteer will work from Monday to Friday, approx. 30 hours per week (a timetable will be defined by both the volunteer and Viva Sioule staff). Accommodation will be provided. The flat if situated right above the main office of the social centre. The volunteer will have his/her own room, living room and bathroom, during the working days kitchen may be shared with other employees of the association. The flat is well equipped and furnished to ensure a comfortable stay. This accommodation is located at the centre of the town. All house services and Internet fees are 100% covered. Volunteer will receive money for food (7,5 € per day) and pocket money (6 € per day) according to EVS funding rules. Thus, the volunteer has to cook for him/herself. Travel and Insurance:Travel expenses from the volunteer’s city to the service’s place will be reimbursed within a maximum limit of 250 € for both ways. In the selection a priority will be given to youth with fewer opportunities (economic, social, geographical obstacles, disability, educational difficulties, cultural differences, health problems). Scarica la descrizione completa del progetto! Per candidarti invia CV e lettera motivazionale-inglese o francese- agli indirizzi e-mails: cd.auvergne@concordia.fr e volo@lunaria.org; con oggetto “Nome+Cognome_EVSapplication_Ebreuil” entro il 3 Settembre 2018.